Experts keep healthier behavior with patrons and provide this ACP Cladding Contractor service. 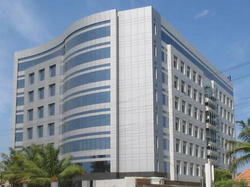 We use high quality cladding and give eye catchy look to the building. Experts work at specified place of customers and ensure hassle free installation of cladding. 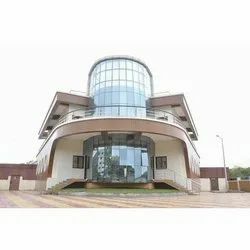 We are sincerely indulged in providing for our patrons ACP Cladding. ACP Cladding Service is provided by us and executed by our hard-working professionals. Leveraging the skills of our qualified team of professionals, we are instrumental in offering a wide range of ACP Cladding Service. Aluminium Composite Panel (ACP) also Aluminium Composite Material, (ACM) is a type of flat panel that consists of two thin aluminium sheets bonded to a non-aluminium core. ACPs are frequently used for external cladding of buildings (building facades), for insulation and for signage. It has been a privileged to become stockiest of the worlds most renowned brand of EUROBOND. Aluminium composite panel with the widest range of colours in P.V.D.F., P.E AND Decorative range. ACP Cladding is a new age need for aesthetic elevations.